From left, Tom Duffey and John Wilcox, of Digital Dispatcher, meet with Keith Zimmerman and Mike Taylor, from Beck Suppliers Inc.
After months of preparation for the LP Gas Growth Summit, my greatest enjoyment is the simple act of walking. Let me explain. 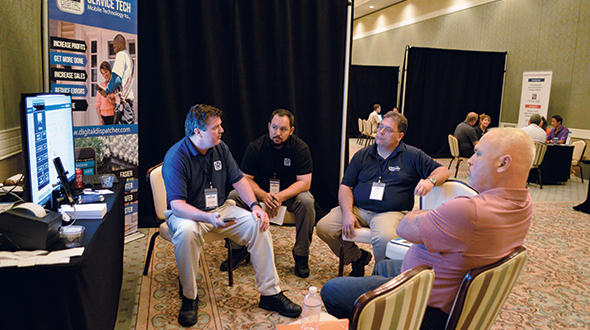 The annual event was born in 2015 as a way for LP Gas to gather propane retailer decision-makers and key vendors of propane products, equipment and services; pair them in prescheduled one-on-one meetings over two days at the luxurious Reunion Resort, outside Orlando, Florida; and allow them to uncover new avenues for business growth. Picture two ballrooms, each lined with tables on both sides that are separated by black drapes. At each of these tables, propane retailers are meeting with vendor partners about ways to grow their businesses. The enjoyment for me comes from walking these aisles and seeing these meetings taking place, hearing the hum of constant conversation, noticing the animated reactions of people from time to time. 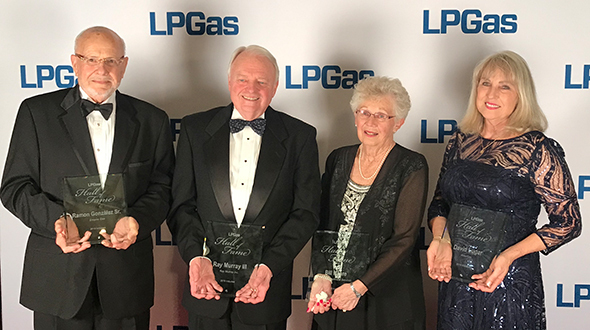 It’s rewarding for us as LP Gas staff to know we played a part in bringing both sides together at an important time in the industry’s history. 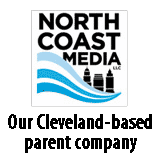 In the end, the businesses and the propane industry both benefit. 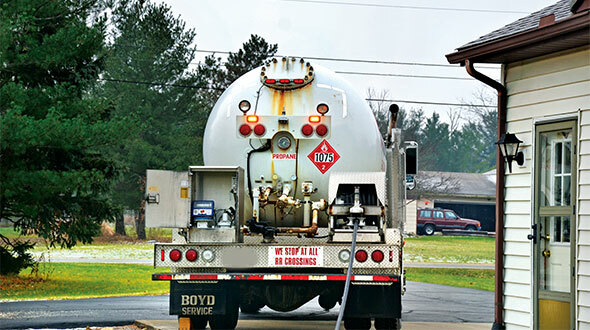 So much has changed in the propane industry – and in the overall energy picture. In fact, in a recent LP Gas survey, readers cited the words “growing” and “changing” as those most commonly associated with the propane industry. Growth in domestic propane production from the nation’s oil-and-gas-rich shale plays has transformed the United States into a net exporter of propane. While this production boom has presented changes to energy infrastructure and propane supply and distribution dynamics, opportunities also exist for retailers to grow year-round gallons in emerging markets. Moreover, back-to-back mostly mild winters in much of the country underscore the need for propane retailers to diversify their offerings to customers. 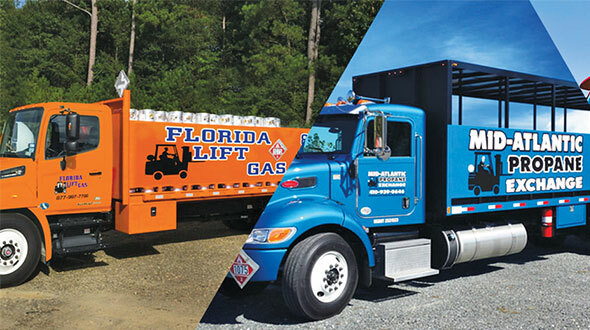 In the three years of the LP Gas Growth Summit, discussions have encompassed market opportunities in autogas; composite cylinders; propane-fueled generators, irrigation engines and lawn mowers; and tankless water heaters. 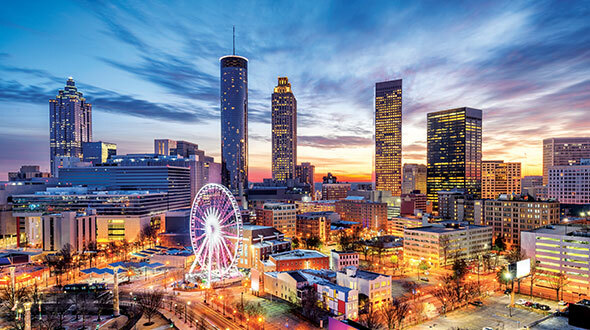 This year, we expanded the event to focus not only on growing gallons in these emerging markets but also on ways for retailers to add operational efficiencies. This comes through retailers’ use of software and technology or through other products, equipment and services that put businesses on a fast track to growth. The expanded format this year boosted attendance to an LP Gas Growth Summit high of more than 70 people, as representatives from about 30 retail propane companies met with representatives from 15 vendor partners. This year’s retailer attendance base, composed of large and small companies, was balanced geographically, as well. Eighteen states – from California, Colorado and Washington in the West; to Minnesota, Michigan and Ohio in the Midwest; to New England and the Southeast – were represented at the summit. A company from Canada also attended. These companies came with one goal in mind: to pursue growth prospects. A look at the applications that retailers completed to attend the event reveals a host of new projects and ideas for growth. Our goal then is to help retailers fulfill these projects successfully through the formation of new partnerships. When you gather a group of savvy, forward-thinking propane retailers in a room with smart vendors, who knows where the discussions might lead? But the possibilities of the end result are certainly worth the journey.